Additive manufacturing, better known as 3-D printing, has been causing a stir in the manufacturing field for nearly 20 years, but today the computer-driven process by which parts are created by successive layering of various plastic and metal components has quietly become mainstream in the design shops of major agricultural equipment manufacturers. Thousands of dealers rely on Farm Equipment's E-Watch Daily to start their day informed with the latest industry news. As important to them as their first cup of coffee! On the Record is a twice-a-month web broadcast that brings you the types of insights and analysis you've come to expect from the editors of Ag Equipment Intelligence. The Weekly Digest is delivered every Sunday from Farm Equipment editors to provide you with important industry news and popular farm equipment content from the past week. 2019 DEALERSHIP MINDS SUMMIT REGISTRATION IS OPEN! 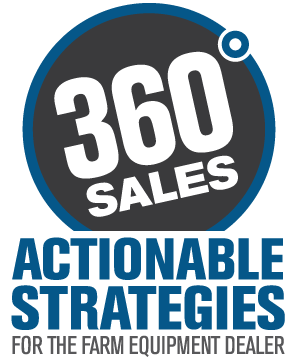 Centered on the theme of "360° Sales: Actionable Strategies for the Farm Equipment Dealer," the 2019 Dealership Minds Summit is a 2-day DEALERS ONLY networking and idea sharing event that is 100% focused on equipping your company to run a more profitable precision farming business. There is one fewer big dealer on Ag Equipment Intelligence’s Big Dealer list than there was a year ago at this time. A year ago, we showed 188 dealership groups vs. 187 this year. Is the consolidation of North American farm equipment dealers finally slowing? Last month, the new “Our Dealer Story” podcast featured a one-on-one with Landis Stankievech of Trochu Motors, a large single-store farm equipment dealer in Alberta. It was a fascinating interview, as it isn’t every day that a young Ivy League athlete, Rhodes Scholar and fast-tracked corporate professional moves back into their parents’ basement to join a farm equipment dealership. Farm Equipment‘s Ag Equipment Entrepreneurs series is brought to you by Osmundson. Your Dealership Website—5 Big Things: Are You Getting Them Right? This blog by industry expert Jeff Bowman is part of the Ask the Expert series, sponsored by Western Equipment Dealers Assn. (WEDA) . This blog by industry expert Casey Seymour is part of the Ask the Expert: Used Equipment series, sponsored by Iron Solutions. This first-of-its-kind report, "The Big Shortline Report: A Listing of Specialty Ag Equipment Manufacturers" is the result of an exhaustive 2-year project by Ag Equipment Intelligence editors to aggregate the key business metrics of more than 120 shortline equipment manufacturers throughout the U.S.
For decades, farmers equated machine control with having two hands on the steering wheel, navigating their field on instinct and tradition. But the next generation of machine automation is imminent, offering the ag industry promising, yet unproven opportunities. Every three years since 2011, Ag Equipment Intelligence editors have extensively surveyed farmers across 12 states encompassing the Corn Belt (Illinois, Indiana, Iowa, Ohio, Missouri), Lake States (Michigan, Minnesota, Wisconsin) and Northern Plains (Kansas, Nebraska, North Dakota, South Dakota) regions of the U.S. to gauge the level of loyalty they hold toward equipment. The culmination of a nearly a decade-long study, Ag Equipment Intelligence has now combined this extensive primary research into an insightful, comprehensive and unique dealership management report, Brand Loyalty in the Farm Equipment Business. Since 2009, the editors of Ag Equipment Intelligence in collaboration with the Machinery Advisors Consortium have compiled the annual "Big Dealer" Report to provide the ag equipment industry with a thorough, by-the-numbers analysis into the shifts in dealer ownership, along with insight into the implications these shifts have on the industry. It's the most detailed source of information on ownership changes and consolidation trends of North America's largest farm equipment dealers.